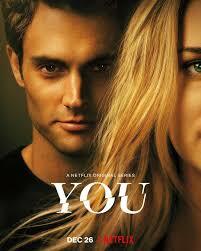 A new Netflix series, YOU, came out earlier this year. It focuses on a man named Joe who is overly obsessed with the new lover that he imagines is one hundred percent in love with him in return. However, this isn’t the case as he lets his mind consume his thoughts into thinking that he must kill anyone in Beck’s life that will hurt her. Although having a loving, caring, and obsessed boyfriend sounds like a dream, it clearly is not real because it is impossible to have the perfect boyfriend. This series presents the idea that men like Joe are men who everyone should reach for. The main actor is presented is as a charming young man who is also a murderer. Although he commits serious crimes, his personality and ability to be normal consume the idea that he did a horrible thing. This is something that should never be tolerated; no matter how bad someone messes up, they committed the act and showed no remorse. This show presents controversy in the sense that people become confused about what is actually right and wrong. Since Joe explains why he is the way he is, people feel bad for him; however, he chose to do horrible things because he is able to narrate his thoughts and thought process. On the other hand, this series can be beneficial to present how no one really knows the people they choose to be with. Beck, who is his lover, is clueless about his horrible acts until she finds out with her superstition. This goes to show that you should always follow your gut feeling about a person. This series presents a huge eye-opening idea of being careful with the people you choose to be with and hang out with. I just think that the way Joe is portrayed to be attractive and charming to cover up his murders is wrong because many people in real life will take this vision and make it real. I get that marketing and views contribute to getting the show popular however the series is just perfectly set up to be a mistake and impossibility to be true.